The Honourable Teima Onorio is a Member of the Opposition in the House of Assembly of Kiribati. She has served as an MP since 1998 and was appointed Vice President for three consecutive terms. She was appointed Vice President initially from 2003 to 2007 and was reappointed in 2007 and 2012. She was Minister for Education, Youth and Sports Development since 2008 – which is the same portfolio she held in her first term. During her second term as Vice President she briefly held the portfolio for the Ministry of Commerce, Industry and Cooperatives between 2007 and 2008. Hon. Onorio has represented the Alliance of Small Island States (AOSIS) at the United Nations (UN), speaking in particular on the topic of climate change and addressing the UN General Assembly at the 61st Session in 2006. Hon. 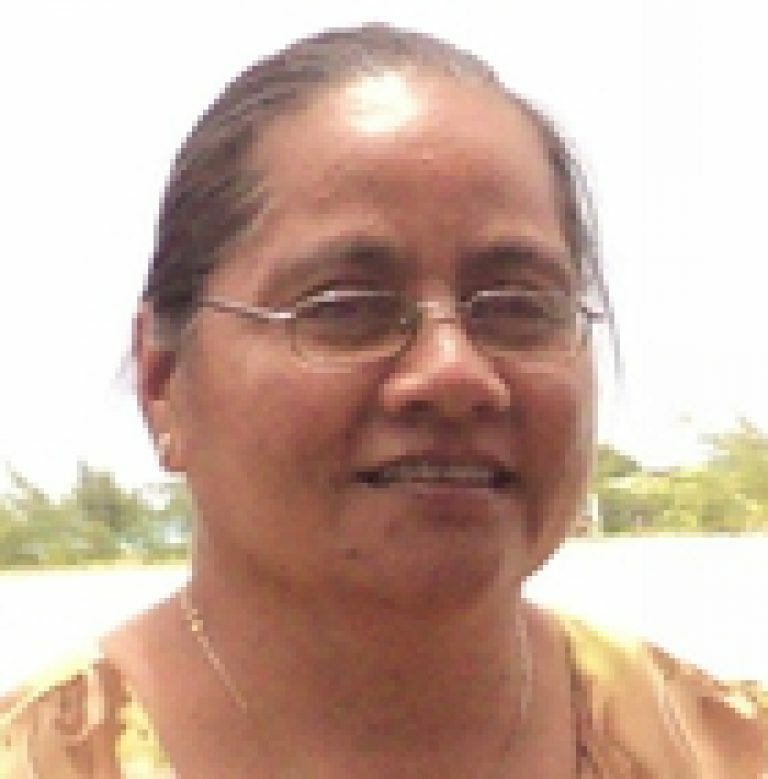 Onorio obtained her Bachelor of Arts (English) Degree from Victoria University of Wellington, New Zealand and she furthered her studies in South Australian College of Advanced Education in Adelaide, South Australia and obtained her Graduate Diploma in TESL (Teaching English as a Second Language). Later she pursued her Master of Arts in TEFL (Teaching English as a Foreign Language at the University of East Anglia, Norwich England in the United Kingdom. Hon. Onorio was an English Teacher at the Marine Training School in Kiribati, and at the Adult Migrant Education Centre in Adelaide, Australia. She also Heads the English Department while being a Senior Mistress and Acting Deputy Principal at the Government secondary school King George V & Ellaine Bernacchi School from 1984 to 1995. In between 1995 and 1998, Hon. Onorio has held positions at Government ministries, being a Senior Education Officer, Acting Chief Education Officer, and Acting Permanent Secretary at the Ministry of Education Training & Technology (METT). Hon. Onorio is a Member of the Standing Committee, Youth Evangelism Sunday School (YESS Kiribati Protestant Church) and Member of the Executive Council.